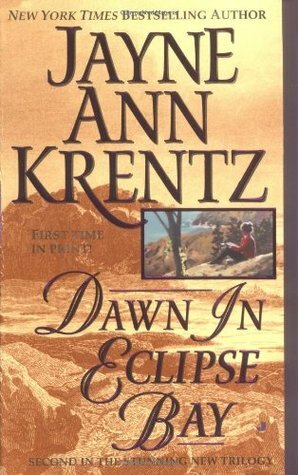 I believe I first saw mention of Eclipse Bay in one of the several Arcane Society books--probably Running Hot, but definitely also mentioned in In Too Deep. A specific character was mentioned as well, Arizona Snow, who is apparently a staple background character in this trilogy--a very eccentric background character, who honestly didn't really bring much to the table aside from helping the forward progression of our romantic suspense in a very deliberate fashion. I would have really liked for Arizona's conspiracy theories to have had some truth in them rather than just being a part of her eccentric conspiracy theorist ramblings. That would have probably given the books a bit more suspense. Ultimately, these books are more romance than they are suspense, and meanders you through more contemporary scenes and tangents before sometimes remembering that there was either a murder or some other criminal act involved in the main conflict. Anyway, I'm glad I finally got my hands on the Eclipse Bay trilogy, so I could see how it tied in with the Arcane Society books, or if it does at all. These books definitely do NOT allude to the Arcane Society timeline, but they are certainly your typical Jayne Ann Krentz formula, in an enjoyable, yet forgettable way. 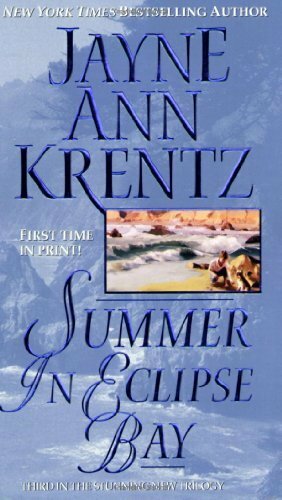 The characters were great, though I couldn't help getting frustrated with the continuous busy-body culture of the small town of Eclipse Bay. I also started learning how to smell when someone was about to spout the words: "Nothing comes between a Madison and his passion." The first time this came up, it was cute. The second time, it was an interesting running gag. The third, fourth, fifth, maybe twentieth time... well, might have been overkill. Finally, I do believe that it was the presence of Winston, the high class, sophisticated Schnauzer, that ended up giving the first Eclipse Bay book an extra 0.5 star, because originally, I was thinking that this book was really only worth about 3.0 to 3.5 Stars based on my "meh" reaction to most of the book. 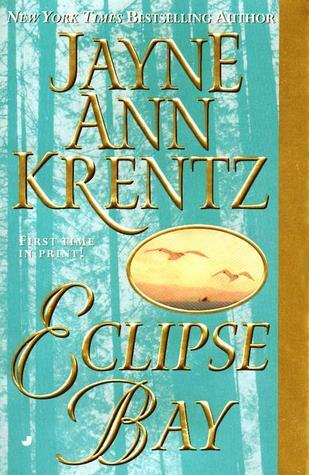 The characters were good, as Jayne Ann Krentz characters usually are, but they weren't great. In fact, two of our three main male characters--Gabe Madison and Nick Harte--bordered on brooding, alpha, jackass. So yes, some parts of the romance smelled of dated tropes, even if not all of it. If that makes any sense. Rafe came close to being a borderline broody, alpha male jackass... he gets points for steering clear of that stereotype... and also gets extra points for being a gourmet chef. I actually have no complaints about our three main heroines--they were fantastic, standard, feisty, yet somehow not-so-standard characters. 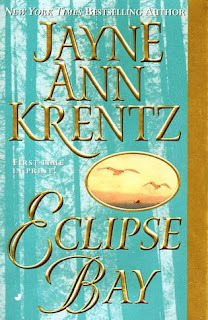 Nonetheless, this was a fun, entertaining series to pass the time if you're looking for a great Jayne Ann Krentz to read! As my BFF always says, "You can't go wrong with Jayne Ann Krentz."